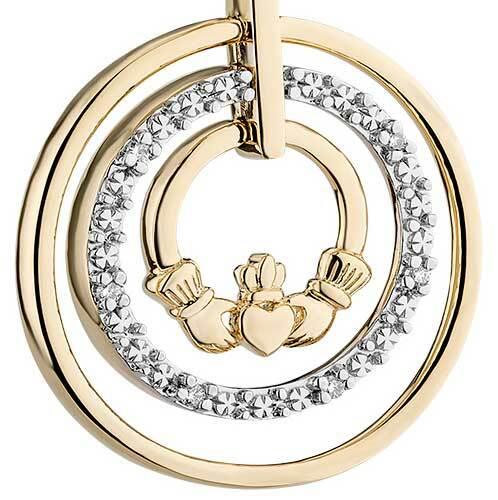 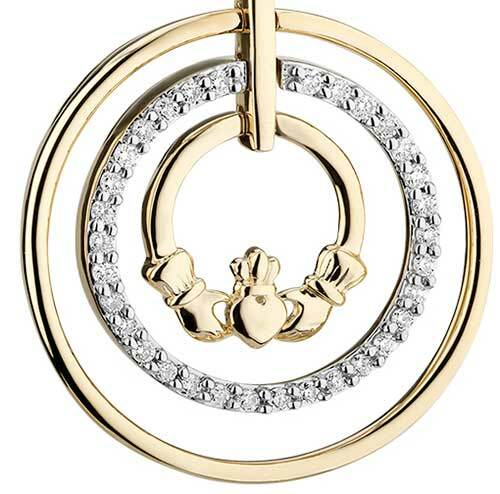 Gold Claddagh necklaces are offered in white, yellow and two tone designs. 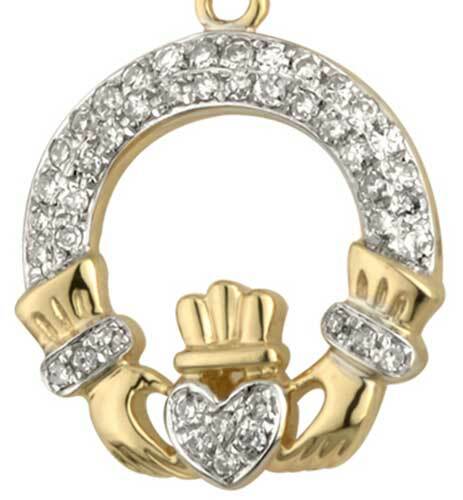 Several of these gold Claddagh pendants feature Celtic knot-work and others include diamonds or emeralds. 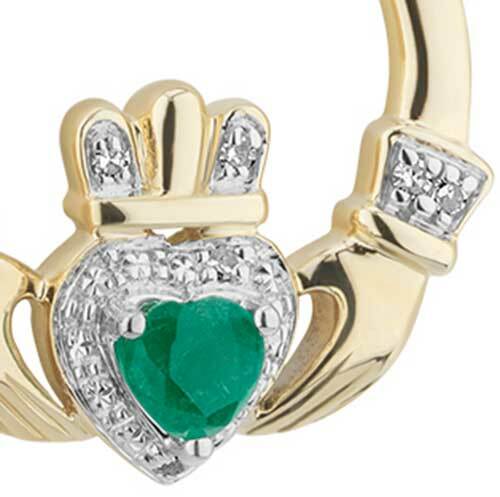 This collection of Claddagh necklaces at The Irish Gift House features several gold caret weights and an abundance of the Claddagh pendants feature stones that include diamonds and emeralds. The styles range from traditional Claddagh designs to several with Celtic knots incorporated into the necklace. 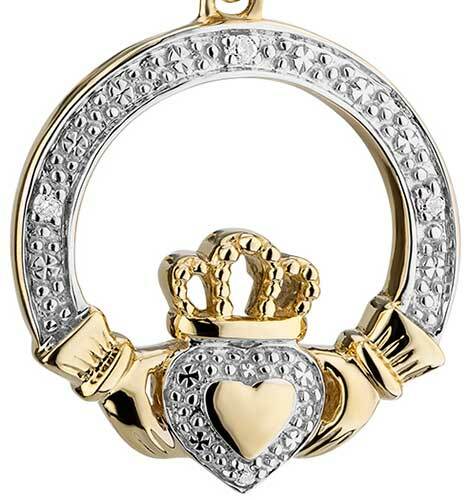 These Claddagh necklaces all include a complimenting gold chain; they are all made in Ireland and hall marked by the Irish Assay Office at Dublin Castle. 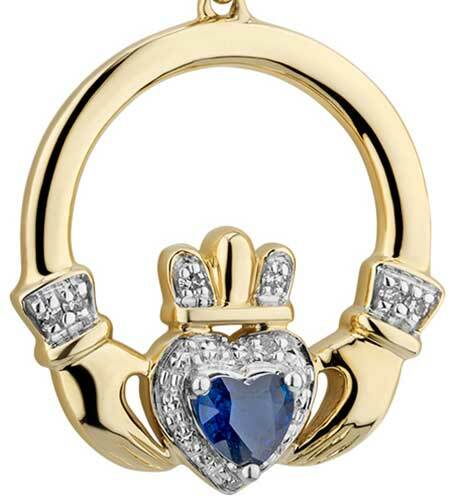 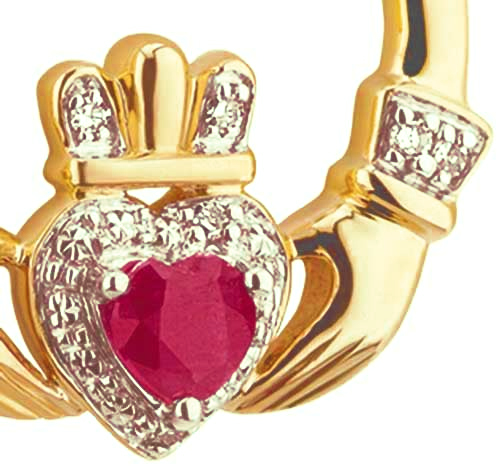 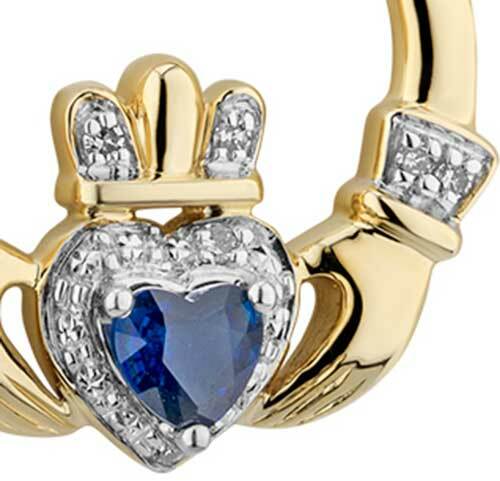 Claddagh necklace is a 14K gold design that features seven different gem stones. 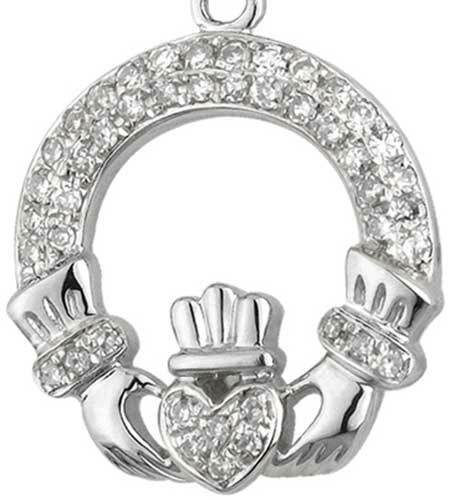 White gold Claddagh necklace is channel set with six different semi precious stones. 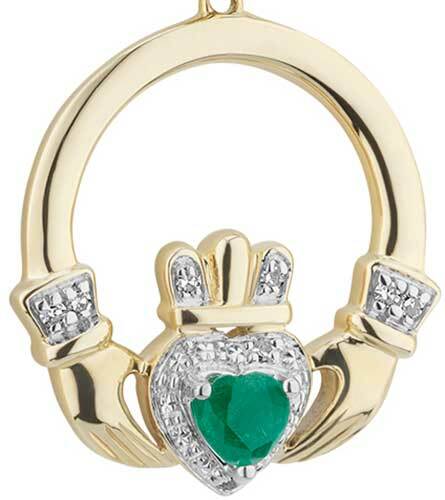 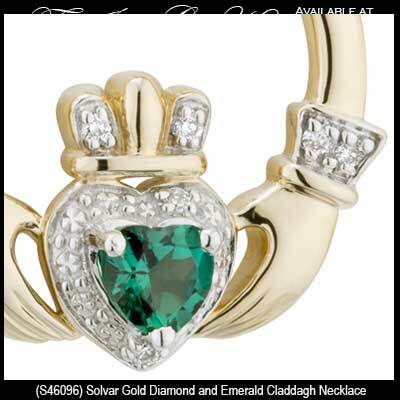 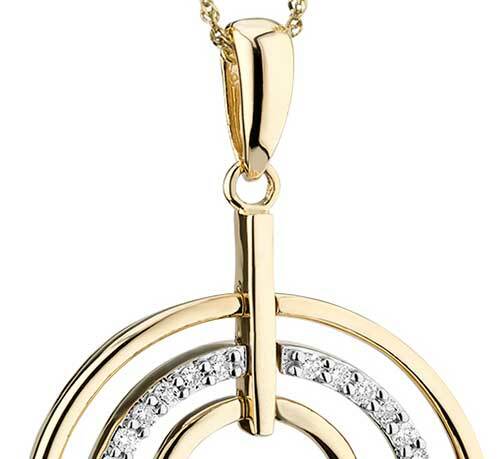 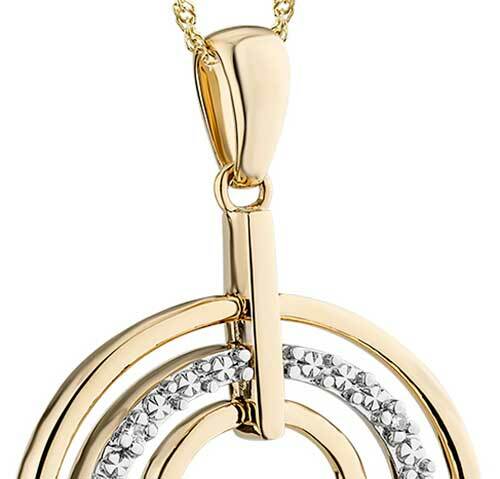 A gold Claddagh ring or a diamond Claddagh ring would enhance your selection of an Irish necklace. 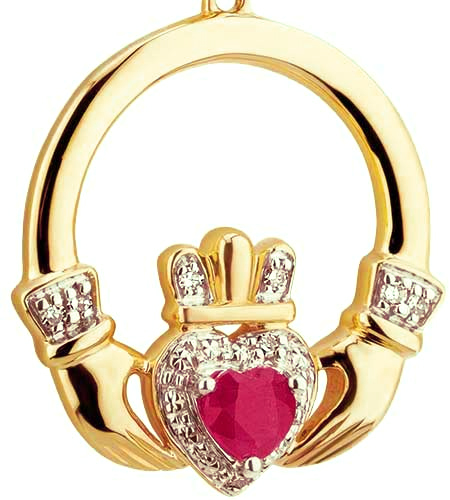 You don't need to get them all at once, but you know that she will enjoy you adding to her collection. 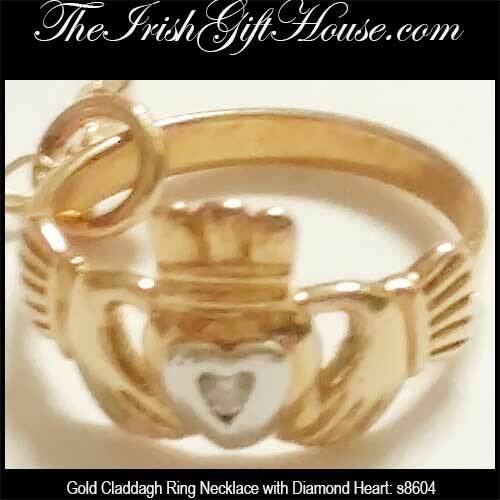 While you are considering complimenting pieces of Irish jewelry you may wish to also look at the tasteful assortment of gold Claddagh earrings or the bracelets; The Irish Gift House has a complete selection of both. 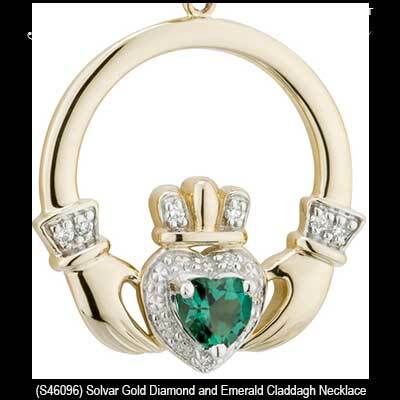 These gold Claddagh necklaces are made in Ireland by Solvar Jewelry.